Apple announced this news in its Supplier Responsibility Report, a report released for three years running that audits of Apple’s supplier factories. 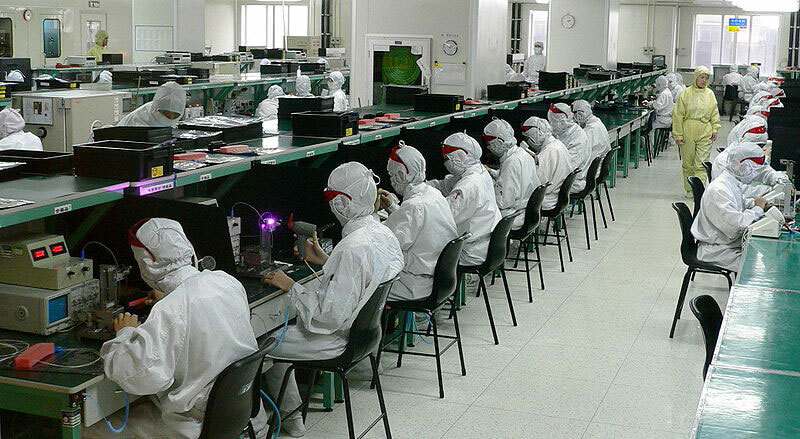 These factories aren’t owned by Apple, but while working on Apple’s goods they are contractually obligated to work within Apple’s worker’s rights rules and the laws of the country that they operate in. The violations occurred in both of those categories. For instance, workers were found to have worked beyond Apple’s 60 hour-per-week limit in 60 of the 102 factories audited and 11 workers across various facilities were found to have been hired at 15 years of age, one year below their respective country’s legal working age limit. Apple found three factories had hired non-certified hazardous disposal agencies to do away with their waste and 44 facilities that didn’t have a proper environmental impact assessments including 11 which didn’t have air emissions permits. In the Supplier Responsibility Report they state, “when social responsibility performance consistently fails to meet Apple expectations, [they] terminate business.” In many of the cases of violations the wrongs have been righted, for instance underpaid workers have been paid for the discrepancies and the underage workers are all now at the legal working age. Though the violations come as a shock it’s nice to know that Apple is clearly displaying their assembly line faults and laying out a plan of action to fix them — if they haven’t already. Apple also noted in their report that all of the factories audited stated that Apple was the only company to have ever audited their facility. The report highlights issues that occur when the supply and manufacturing chains are geographically removed from the business operations. Without oversight factories violations can slip under the radar. Kudos to Apple for finding these violations and laying out plans to fix them. You can rest easy knowing Apple is doing something to make sure your gadgets are made with responsibility in mind. If these working conditions are ignored, then we are condoning this as exceptable business behavior. And by doing so would be willing to subject our children and future generations to this abuse. Take to make Apple accountable, and we need to send this message loud and clear. We as consumers hold Apples future, not the other way around. Lets take back our consumer power and chose to support companies who look at as more than consumers but human beings. Wonderful website Plenty of helpful info here. I am sending it to several pals ans also sharing in delicious. And certainly, thanks to your effort! This doesn't surprise me. Apple is not just profitable! It is unbelievably profitable! ChinaCSR... I am not quite sure why you are being so critical of Apple for its processes in this situation. Apple is doing an annual self-audit. In the audit report they reveal things that any company trying to conceal things would very obviously not reveal. They have clauses in their contracts with suppliers defining their standards for workplace health, safety and environment (HSE). I have NEVER heard of any other company publishing this kind of report. I believe that they have shown transparency in revealing these results. Can you recommend a list of impartial third party auditors that have international credibility and/or certification to Apple? The reality is that there is a lot of work to be done in China on HSE issues. This is not a surprise. For crying out loud, recyclers there heat lead soldered circuit boards over open flame to retrieve the gold in the chips and use harsh acids to eat the circuit board itself to reveal the copper and gold traces. China has a long way to go to meet the standards that we have in the west. (http://www.cbsnews.com/video/watch/?id=5274959n) Desperate people do desperate things. If anything, Apple has set a new bar for what is practicable (yes that is a real word - look it up). They have demonstrated due-diligence. No sane PR or communications officer for a company the scale of Apple would be caught dead releasing this kind of information without an action plan, especially when they have an annual self-audit. I think you are reaching to make this story more sensational. I agree that this is important. I believe that Apple needs to make changes. I also believe that they will. At the same time, I dare DELL, Gateway, HP, Toshiba and Panasonic to do the same self-audit and publish their results. They all use developing country based suppliers. Infractions on western standards would be found. "and the underage workers are all now at the legal working age" wow...that was a simple fix. Oh, and I'm sure they really backpayed all of the workers in some of those factories...all is now well with the world. Apple announced this news in its Supplier Responsibility Report, a report released for three years running that audits of Apple's supplier factories. These factories aren't owned by Apple, but while working on Apple's goods they are contractually obligated to work within Apple's worker's rights rules and the laws of the country that they operate in. The violations occurred in both of those categories. For instance, workers were found to have worked beyond Apple's 60 hour-per-week limit in 60 of the 102 factories audited and 11 workers across various facilities were found to have been hired at 15 years of age, one year below their respective country's legal working age limit.